Express Service Photographers doesn’t exactly trip off the tongue like “Mr. 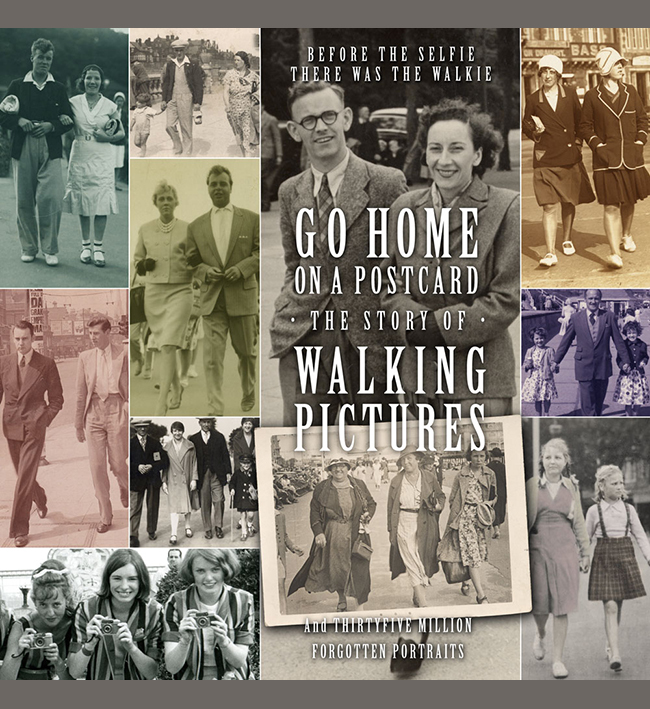 Snaps”, but the firm took walkies from at least 1947 into the Fifties. They were based in a smart late 30s apartment block called Lincoln Court on South Street in Lancing, which was the natural pedestrian route from the station to the seafront. The block (see below) had shops on the ground floor and I assume Express Service Photographers had one of these. I have a couple of walkies from the firm which given the back-stamp I naturally thought were taken in Lancing, but research suggests maybe not. One family tree researcher has an Express Service walkie which has been positively identified as taken on Queens Road, Brighton, while one of mine is on a pier, which Lancing does not have, it looks more like Worthing. All this suggests the Express Service Photographers cameramen worked in much busier towns nearby, although if based in Lancing it does raise the question of where holidaymakers went to buy their print, unless the firm operated on a pop-up basis locally. I assume ESP just took walkies during the busy holiday periods and relied on more standard photography work for the rest of the year. The Express Service Photographer’s examples here show (top) a walkie on Worthing Pier at the top, the couple enjoying a cornet. She is wearing quite a daring (for the time) tied shirt top, he in trendy cord trousers and sandals, and the photo has a late 40s feel to it. The second walkie with the smartly dressed couple I cannot locate, but seems to be early Fifties. If anybody has any more examples or knows more about the firm please get in touch.